A few years ago the larger-than-life displays known as spider tents were a best kept secret being used by multi-billion dollar firms to stand out at trade shows and conventions. Fast forward to today, and these printed spider tents are being used by startups at almost every event because of their ease of setup and use. They are incredibly professional looking and take up a minuscule fraction of one's marketing budget. This particular printed spider tent is a 14 x 14, is made in the USA, and is made from some of the heaviest duty nylon and PVC that we've seen. 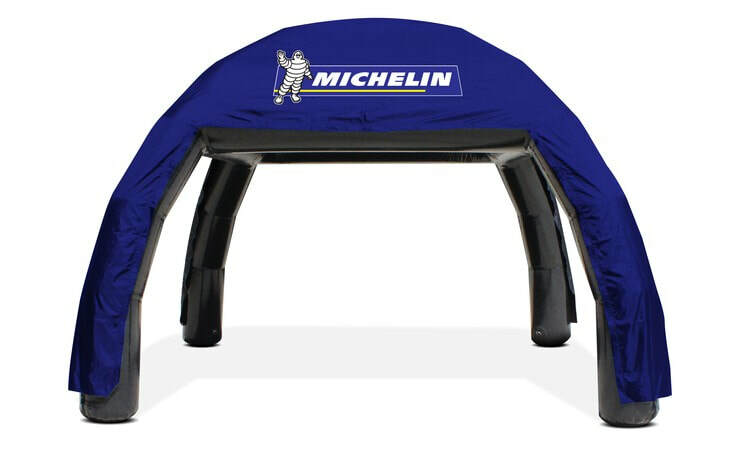 Click Here if You Need Different Specs, We Have a Ton of Printed Spider Tents!